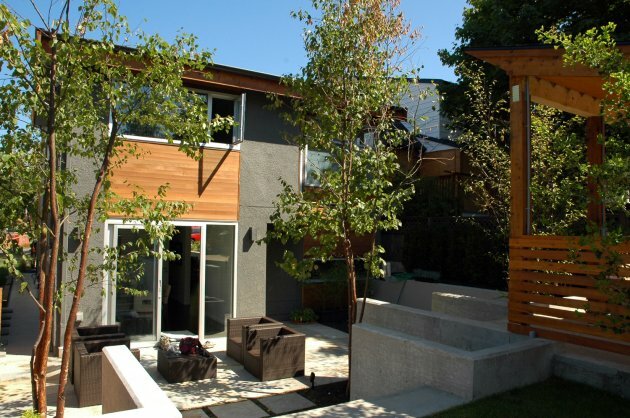 Chris Doray and Arno Matis from Vancouver, Canada’s Iconstrux Architecture provided a complete redesign for this 1960′s “Vancouver Special” house in Vancouver’s Dunbar neighbourhood. The term “Vancouver Special” refers to an architectural style of houses that were built between roughly 1965 to 1985 in Vancouver. The relatively cheap and easy to build houses were popular with house builders looking to fill the demand for new housing in the fast growing city. So many of the houses were built, and became such a common sight, that they were given the nickname of Vancouver Special. Although thousands were built, the homes have never enjoyed much love from Vancouver residents for the way they look, and the term Vancouver Special is usually used as a derogatory reference meant to reflect the cheap tackiness that the style is known for. Today, the home’s are all 20 to 40 years old, and many are being torn down or renovated. 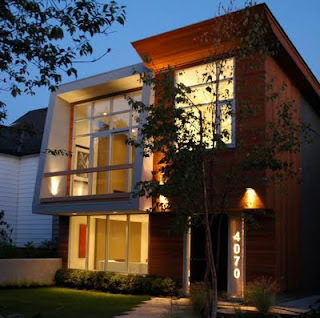 One of those lucky enough to survive, is this 1960′s Vancouver Special that underwent a complete contemporary renovation.